“I hope it is treasure” said Darith. He was a squat man, good with an axe and good at tracking. The Archive was close. After 10 years of searching, countless injuries and many deaths they were finally getting close. In the morning light there was almost a path through the woods; newer trees punching through black rock, darker ground, and more stones leaving a vague outline. This used to be a road. Unable to Comment on Google Reader -fix it! I know a lot of people have have had problems commenting on reader because people haven’t setup commenting correctly. But don’t worry, its easy! First of all, if you can’t comment on someone’s shares, they have to fix it. So this guide is written to allow people to comment on your shared items. 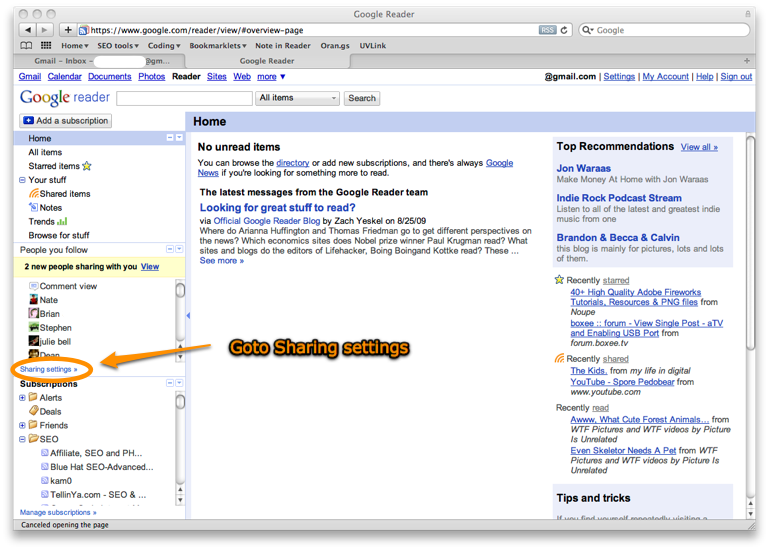 Google reader uses your contact list and groups from gmail to manage contacts in reader. In order to enable commenting you have to add someone to a group that has commenting enabled. Before we move people into the right group we have to enabled group commenting. 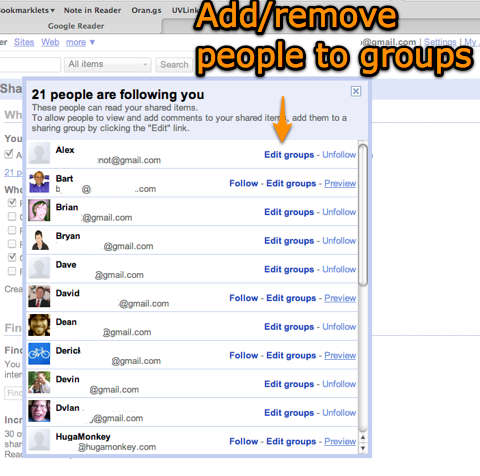 You can manage groups through your gmail contact list, or from that same screen click on the people that you’re following and by each of their names will be a groups setting link. That same link is available from the shared page of each person. Add them to a group that has commenting enabled and you’re done! I always thought Kanye was a jerk and now everyone agrees! LaughingSquid is one of those blogs I keep a secret from everyone. It’s sort of a forbidden little treat that I really love to check once in a while. They’re never short of some really great pictures. 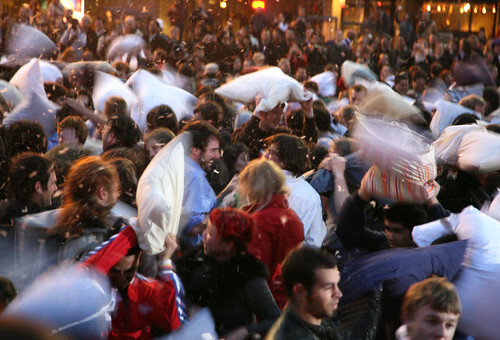 They also happened to cover the great Pillow Fight Of San Fransico ’07. Don’t worry, despite the implications this is SFW. The Laughing Squid Page also has videos and more pictures of the event with links to other sources. What better way to celebrate valentines day angst than by beating the feathers out of total strangers? We’re still alive and I have a lot to catch up on. I have entries ready to catch up to now but I don’t have time to upload them now. Theres a new section here called “Movie Night” which is for a special little project I like to call “Move Night Write ups.” After every movie night everyone that participated is invited to write about their experience, the movie, the food or whatever. Just create an account and tell me you want to be a movie night writer. So far Gary is the only one and he did a movie night write up on The Departed(Spoiler Warning!). I actually liked the movie more than Gary because I thought the ending made sense whereas he didn’t.